After a long time being a question, the official duration of Avengers: Endgame was finally revealed. 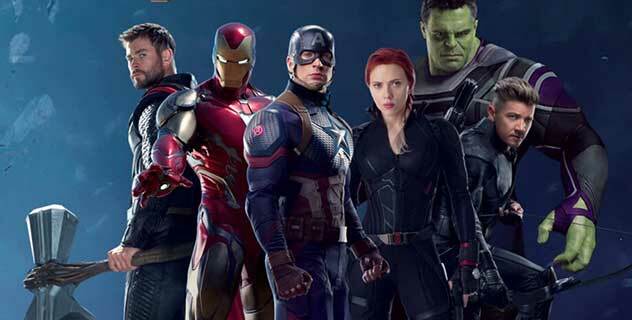 Quoted from Comicbook.com, co-director Joe Russo confirmed that the Endgame is 3 hours 58 seconds, which makes it the longest film in the Marvel Cinematic Universe. Russo’s statement was apparently also slightly different from the previous report which claimed, the duration of the Endgame exceeded 3 hours. Whatever it is, the final duration of the Endgame seems reasonable, as this film will be the conclusion of all the stories Marvel has built since Phase 1 – which began with Iron Man (2008) – until Phase 3 which recently released Captain Marvel. Speaking of Captain Marvel, this superhero whose real name is Carol Danvers is staying as the new leader of the Avengers squad in Phase 4 later. Meanwhile, the actual duration of 3 hours has been indicated by Russo since long ago, precisely at the end of last year when the Infinity War sequel was in the editing stage. Furthermore, the duration of the 3-hour Endgame was also signaled by Russo shortly after Infinity War was released. When that Russo explained, Endgame could only last three hours if not cut into pieces. The main reason, Russo admitted because Endgame is a big film that contains many stories. The final duration of the Endgame is 20 minutes longer than Infinity War, which in fact is 2 hours 40 minutes long.